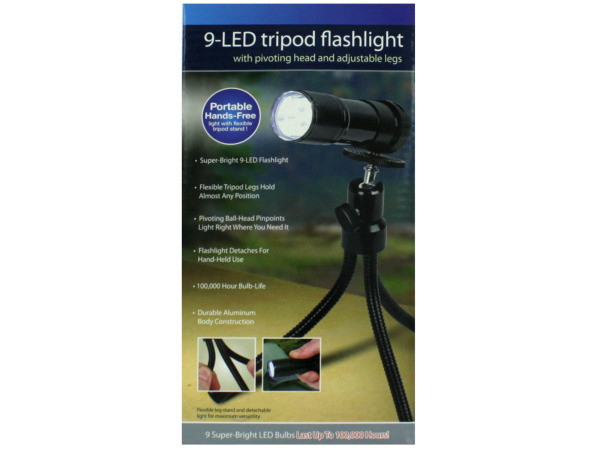 Ideal for lighting just about any space, this flashlight is versatile and useful. 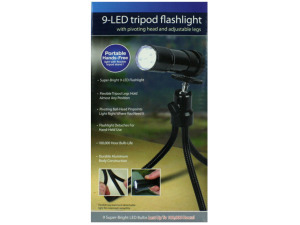 Featuring 9 LED lights inside, this flashlight sits on flexible tripod legs that hold almost any position. The pivoting head pinpoints the light wherever it's needed and the flashlight detaches for hand-held use. Bulbs have 10,000 hours of life. Requires 3 "AAA" batteries, not included. Comes packaged in an individual box.